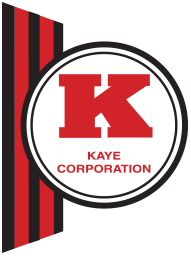 During those years, Kaye Corporation was an independent distributor primarily doing business in the sporting goods & automotive fields. Kaye Corporation’s territory was primarily southern Minnesota. E.T. (Beano) Brunner was Kaye Corporation’s first employee back in 1944. Pat Brunner, Beano’s son, joined Kaye Corporation in 1951, while in high school. After high school graduation and a stint in the Army, Pat would return to Kaye Corporation and would eventually become General Manager. After Herman Miller’s death in 1966, Brunner purchased Kaye Corporation in 1967 and was the owner until 1982 when he sold the business to Marlin lloyd. One of Brunner’s main accomplishments while being General Manager was to secure the distributorship of the Snapper line of lawn equipment for Minnesota in 1961. 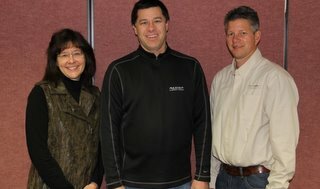 The addition of the Snapper line would prove to be a very important decision, as the direction of Kaye Corporation during Brunner’s ownership, would evolve from an automotive distributor covering southern Minnesota to a large Outdoor Power Equipment distributor covering Minnesota and western Wisconsin, with Snapper making up over 80% of those yearly sales. Pat Brunner eventually sold Kaye Corporation to Marlin Lloyd in 1982. Lloyd joined Kaye Corporation in 1965. During the years from 1965-1982 Kaye Corporation became one of Snapper’s largest distributors in the United States. In 1986, Kaye Corporation moved its distribution headquarters from Mankato to Eden Prairie, Minnesota. 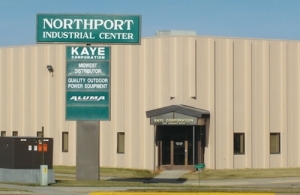 In 1994, Kaye Corporation relocated back to its present 54,000 sq. ft. facility at 1910 Lookout Drive in North Mankato, Minnesota. In 1994, Kaye Corporation purchased two Snapper distributors and was doing business in Wisconsin, Illinois, Nebraska, North & South Dakota & Minnesota. In 2000, which was Kaye Corporation’s 40th Anniversary with Snapper, we were informed by Snapper that they had chosen to go another direction. With Snapper still being about 70% of our business at that time, we were confronted with a major decision. As it turned out, that dark day back in February of 2000, turned out to be the start of a bright new beginning and opportunity for Kaye Corporation. Since 2000 we have added several new lines, including: Country Clipper and Hustler lawn equipment. These lines complimented our Aluma and BCS lines. In 2000, we also purchased the Aluma trailer manufacturing plant located in Bancroft, Iowa. We doubled its size in 2003 and also expanded again in 2005. We now have A1uma dealers in all 50 states and Canada. Currently we represent the following product lines: Aluma trailers, Belmont trailers, Big Dog mowers, Fisher snow plows, Hustler turf equipment, Midsota trailers, Sharp trailers, SnowEx and TurfEx snow plows and spreaders, and Rotary after market parts. We are proud of our heritage and we are proud of the fact that we do business only one way, with our independent dealer partners. Our goal is to grow and prosper with them for many years.